Gender Matters is the umbrella name of Screen Australia’s programs to address the underutilisation of female talent in key creative roles in the Australian screen industry, and the resulting lack of diversity in screen stories. May 2015: Screen Australia released historical, industry-wide data of female participation in the production of Australian film and documentary across the roles of producer, director and writer. The data formed part of the Women in Film issue of AFTRS’ Lumina magazine. December 2015: Screen Australia released its study Gender Matters: Women in the Australian Screen Industry. Across two funding years (2013/14 and 2014/15), the gender balance of development and production funding applications coming into Screen Australia were published. On the same day, Screen Australia announced its $5 million Gender Matters five-point plan, Taskforce and KPI. January 2016: Applications opened for Screen Australia’s Gender Matters: Brilliant Stories and Brilliant Careers funding programs. April 2016: Screen Australia confirmed receipt of 452 applications for Brilliant Stories and Brilliant Careers, which is the most ever received for a funding program. External assessors confirmed. July 2016: Recipients announced for Brilliant Stories and Brilliant Careers funding. July 2016: Guidelines announced for the Better Deals and Attachments for Women programs. March 2017: An interim update on the Gender Matters five-point plan is released. August 2017: The first tracking data against the Gender Matters KPI is released covering the latest two financial years (2015/16 and 2016/17). The Gender Matters Taskforce is also expanded. 30 June 2019: The deadline for the Gender Matters KPI. The Gender Matters five-point plan was a series of measures designed to speed up efforts to address gender imbalance in the Australian screen sector. The combined budget of the five streams was up to $5 million, with most monies disbursed in the 2015/16 financial year. As of November 2017, Attachments for Women and Better Deals still have disbursements pending. From December 2015 an express mention of gender and cultural diversity was added to the Assessment Criteria on all Screen Australia funding guidelines (not just Gender Matters funding). “Other factors including availability of funds, diversity of slate and the gender and cultural diversity of the team may also influence Screen Australia’s funding decisions” (addition highlighted in bold). $1.882 million was dispersed to 13 organisations who had successfully put forward proposals to either run programs to increase female access to work (e.g. the Australian Directors’ Guild) or to create or expand female-led businesses. Disbursement of funds detailed in the 2015/16 Annual Report page 73-74. Full details available. $1.867 million for the development of 45 female-led dramas that satisfied the ‘three tick test’ (which also allowed for men to be part of the teams). The drama projects spanned film, television and online, with the expectation that a number would go into production, and/or the development experience may propel the creative teams into other work. Disbursement of funds detailed in the 2015/16 Annual Report page 71-73. Full blocklines available. Projects funded by Screen Australia in 2016/17 with a budget of over $500,000 were required to include a paid attachment for a woman as part of the production budget. Screen Australia would contribute up to $20,000 per attachment, up to $1 million total. The scheme was so successful that it was expanded for 2017/18 to become the Inclusive Attachment Scheme. Disbursement of funds is not itemised in the Annual Report as the funding was included in the individual project’s budget. As of November 2017, 15 attachments were complete, four were active, and a further four were pending (see Appendix 1). A funding pool of up to $1 million over two years to incentivise distributors to support female-led feature films, offering matched funding of up to $300,000. The scheme was not limited to projects funded by Screen Australia and applications are open until the end of 2017/18 (presuming the fund is not exhausted beforehand). As of November 2017, two films (The Nightingale and The Callback) had successfully applied for the funding and this commitment was recorded in the 2016/17 Annual Report page 89 (totalling $500,000). Funds are disbursed closer to release. The Gender Matters KPI is that by the end of 2018/19, half of the projects that receive Screen Australia production funding will have women occupying at least 50% of key creative roles. The final KPI tracking result will be reported as a three-year average (across 2016/17, 2017/18 and 2018/19). The key creative roles for drama are: writer, producer, director and protagonist. The key creative roles for documentaries are: writer, producer, director. If at least 50% of roles are female, the project is counted towards the KPI. As documentary only has three roles, it is arguably harder for a factual project to meet the Gender Matters target. However it is rare for the writer not to also be the director or producer, which can counterbalance this. By excluding development funding in the KPI, the focus is squarely on what is being made rather than projects that may or may not be made. Note Gender Matters Brilliant Stories was development funding. The KPI is based on the number of successful applications rather than funding dollars. Screen Australia’s KPI is a self-imposed target – it is not a quota. Screen Australia’s standard funding programs are open to all genders and are awarded on merit. Whilst Gender Matters has been broadly welcomed by the industry, some people feel Screen Australia has not gone far enough and advocate the active exclusion of men to redress the historical imbalance. Conversely, others have suggested Screen Australia should not intervene at all. Certainly Gender Matters is only one approach, and there are alternatives both in Australia and overseas. Screen NSW’s (now called Create NSW) target states that it aims to achieve 50/50 gender equity in development and production funding programs by 2020. The roles of writer, producer and director are considered. The requirement to have female key creatives in the team, in order to receive development or production funding for TV drama projects. From 1 July 2017, 50% of feature films which are invested in will need to be written or directed by women. Create NSW reports individual headcounts of writers, producers and directors, rather than the balance of gender within teams. Create NSW does not consider on-screen female representation (protagonist) in its target. The SFI is the equivalent of Screen Australia in Sweden, however notably the SFI only funds feature film whereas Screen Australia funds film, television, online and documentary. The SFI had a target (“a quota threat”) to split production funding equally between the genders by the end of 2016. This meant that by the end of their film agreement period (2016) the total sum of funding should have been distributed to 50% women and 50% men, in the categories of writer, producer and director. The SFI have two strands of funding – production funding and automatic funding. The gender target only applied to the production funding strand. The production funding strand requires less marketplace support (it is not compulsory) and the applications go through an assessment process. Whereas the automatic door requires projects to have a distributor attached, as well as 70% of the budget in place. The SFI’s original gender target was successfully reached in 2016. The SFI have since announced Goal 2020: Gender equality in film production, both in front of and behind the camera. This includes considering the on-screen presence of women, and attempting to find ways for more women to get work in bigger budget productions. In Canada, Screen Australia’s equivalent function is split between the CMF and Telefilm, however the ability to influence the television industry is stronger. CMF has used a stepped quota system which started in 2017/18, and by 2019/20 will require broadcasters target to commit 50% of their Performance Envelopes ($) and be required to commit a minimum of 35% of their Performance Envelopes to female-led projects. The CMF will monitor results and amend policies as required to achieve gender balance in all programs by 2020. Telefilm aims by 2020 to achieve a balanced production portfolio (at all budget levels) that reflects gender parity in each of the key roles of director, writer and producer. The agency will achieve this aim through five key areas where female-led projects are given preferential treatment. Since 2014 the BFI’s Film Fund (for features) has been subject to a three-tick test that covers on-screen diversity, off-screen diversity and industry access (where ‘two ticks’ are considered the minimum). Although there is no specific target, ‘three tick’ projects are incentivised by being able to receive additional funding for staff. Efforts in the USA are largely coming from not-for-profits and the private sector. Arguably the most well-known voice is the Geena Davis Institute on Gender in Media who have targeted on-screen representation of women, with the simple yet poignant catch-cry ‘if she can see it, she can be it’. The Institute has been enterprising by using research to provide proof that female-led projects are commercially viable, with recent hits Finding Dory and Wonder Woman speaking to this premise. In 2016 prolific showrunner Ryan Murphy launched his Half campaign, where 50% of directors on his shows must be female. The organisation now also ensures that every male director is shadowed by a Half Foundation candidate – a younger director trying to break into the business who comes from a minority background. The Directors Guild of America publish an annual scorecard on gender and ethnicity – effectively naming and shaming corporates into action. Why has Screen Australia not released historical data of female participation in television? Traditionally the television industry has had much higher rates of female participation than other formats (as was seen in the August 2017 Screen Australia production funding data). Television is also more labour intensive to track, because one television show can have multiple directors, writers and producers, potentially spanning over many series (indeed over 30+ years for some soaps). As such, Screen Australia prioritised gathering data on feature film and documentary. Why is the data range of the report Gender Matters: Women in the Australian Screen Industry different to the tracking of the Gender Matters KPI? The Gender Matters KPI relates to production funding across all Screen Australia programs, including features, documentary, television, online, Indigenous and special initiatives received and logged by Screen Australia (e.g. The Guardian documentary initiative). The KPI also considers the on-screen representation of women, by treating the role of protagonist as one of the creative team. The 2015 report considered a smaller production funding sample data set (features, documentary and television). The earlier report also included development funding in an attempt to understand if the problem lay in a shortfall of supply (not enough female-led projects in development), conversion (not enough female-led projects transitioning from development into production) or a combination of both. The 2015 report did not include data on protagonists, but did include executive producers. Why is the Gender Matters Brilliant Stories ‘three tick test’ eligibility not used for the Gender Matters KPI? Brilliant Stories was designed to support the development of female-led, drama projects, but still allowing for teams to include men. This resulted in some teams choosing to access the skills of highly experienced male creatives e.g. Luke Davies (Lion) is attached to Silver Lining from Mirrah Foulkes (Director/Writer). The ‘three tick test’ was designed with drama production in mind where there is a fourth role of protagonist, which is not present in documentary. For these reasons, the three tick test was not a workable whole-agency KPI method. How did Screen Australia develop the Gender Matters KPI? …this would be the minimum scenario for a project to be counted towards the Gender Matters KPI (projects/titles with creative teams that are at least 50% female). An all-female creative team is arguably more ‘female-led’ than a team with a 50/50 split of the genders. However, Screen Australia intends Gender Matters to result in more screen stories where women are writers, directors, producers and/or protagonists overall, rather than becoming prescriptive about the makeup of individual project creative teams. Whilst Screen Australia encourages creatives to be conscious of the makeup of their teams, all-male teams continue to be funded. Why is the KPI based on the number of successful applications rather than funding dollars? Basing a KPI on funding dollars would mean big-budget television and film would skew the results. Screen Australia’s KPI is based on the creative teams of individual projects, meaning all budget points are equally represented. How does Screen Australia process and report on the Gender Matters KPI? When a project is submitted for funding, the applicant is required to provide gender information about each of the key creatives, as well as a story synopsis. For drama, when the application is assessed the gender of the protagonist is determined. Each project is tagged by Screen Australia’s Research Department as having met the KPI or not. The above record-keeping occurs for both development and production funding applications, even though the Gender Matters KPI only applies to successful production funding. What if somebody doesn’t identify their gender? It is compulsory to identify male, female or other in the application process. Where ‘other’ is ticked, Screen Australia will not allocate that role to a binary gender. Why will the final KPI be reported as an average? The final KPI tracking result will be reported as a three-year average (across 2016/17, 2017/18 and 2018/19) to ensure the change in female participation has been genuine and sustained. How does Screen Australia address false representations of the makeup of creative teams? If there is doubt about whether the inclusion of a women in an application team is genuine (e.g. a project with one female producer and five male producers), this is raised with the applicant during the assessment process. What if a creative team changes after it is funded? The Gender Matters KPI is based on the application data Screen Australia holds at the end of each financial year. Screen Australia will track changes made to creative teams after initial applications. When is the Gender Matters KPI reported? Screen Australia funds in financial years, so the first Gender Matters KPI tracking data was released in August 2017. This will also occur in 2018 and 2019 around the same time of year. Incomplete data periods are not released. The first tracking data found that 47% of successful production applications had women occupying at least 50% of key creative roles. However, this data was skewed by television compensating for low female participation in feature film. Why does the Gender Matters KPI not get reported more frequently? 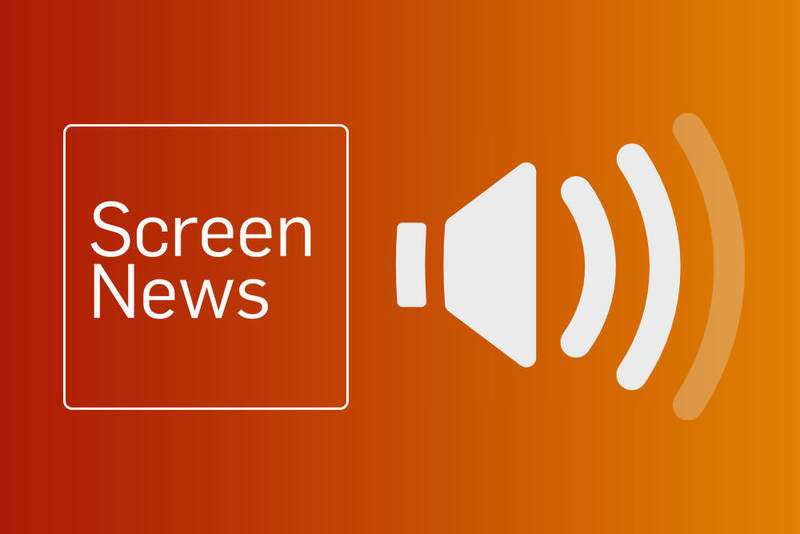 Screen Australia maintains a small in-house Research team, as such it is cost prohibitive to do more frequent updates. Furthermore, reporting more frequently would be misleading as the funding deadlines vary widely across the agency e.g. some funding is in quarterly rounds whilst others are open all year. Is Screen Australia’s funding on the public record? Yes. Screen Australia’s Annual Reports itemise all funding, including creative teams where applicable. The Screen Australia website also details the blocklines of approved projects – this can be found in the ‘Funding Approvals’ section of the relevant funding stream e.g. feature film. The Funding Approvals are updated as soon as a project is formally announced, which can be delayed up to a maximum of six months. Delays are almost always due to commercial reasons e.g. a project may not be fully financed, or a broadcaster may wish to keep it confidential until a show is cast. Utilising the Annual Report and the Funding Approvals, it is possible for any interested parties to analyse the data that makes up the Gender Matters KPI. Unsuccessful applications are not made public. What other data does Screen Australia collect? Screen Australia recently changed its application system to allow the voluntary collection of cultural background and language data from applicants. It is hoped the first complete data set will be available for the 2017/18 financial year. Why are initiatives counted towards the KPI? Screen Australia frequently announces special funding opportunities that target specific topics (e.g. ABC Love Bites), formats (e.g. The Guardian documentary initiative) or career levels (e.g. Google Skip Ahead). In instances where a special initiative is for production funding, it is counted towards the KPI because that was Screen Australia’s commitment – that by the end of 2018/19, half of the projects that receive Screen Australia production funding will have women occupying at least 50% of key creative roles. This includes initiatives that are targeted toward female creatives including Doco180 with Whimn and Girls with the ABC. If the Gender Matters Attachment scheme was only for 2016/17 projects, why is it still active in late 2017? The time from when a project is funded by Screen Australia to when goes into production can vary, but is often several months. As such, some 2016/17 projects are still in production as of November 2017, so a complete report on the scheme won’t be possible until 2018. Why has no Better Deals money been paid out as of November 2017? Better Deals is for distribution assistance. A film must be about to be distributed (going to cinemas) to receive the funding. To date, two films have been approved to receive Better Deals and that funding was committed in 2016/17 (as detailed earlier). Is Screen Australia a male-led organisation? Diversity and inclusion are at the core of the way Screen Australia is run. As of November 2017, women hold executive roles at Screen Australia, including the Chief Operating Officer, the Head of Production, the Head of Indigenous and the Head of Legal. Women also hold Senior Management roles including in Documentary, Development and Human Resources. Note the below data relates to the Gender Matters Attachment for Women program only. For reporting on attachment schemes funded through Brilliant Careers, please refer to the host organisation. *Attachment was asked to stay beyond the original dates.